To help combat this issue, researchers at the University of Missouri partnered with non-profit American and Dominican foundations to bring a pioneering hypertension care program to underserved communities of Haitian immigrants in the Dominican Republic. An evaluation of this program by Dr. Maithe Enriquez of the University of Missouri indicates that it is both effective and sustainable. The Jonas Batey Hypertension Program brought care to four bateyes, which are rural sugarcane settlements that often lack running water, electricity, proper sanitation and convenient access to health clinics or medication. The local foundation visited each community four times per year, providing screenings, multivitamins and a three-month supply of blood pressure medication to those in need at each visit. Though the program is still ongoing, it was evaluated by Enriquez and her colleagues after a one-year period in a study that you can read more about here. The evaluation showed a significant drop in both systolic and dystolic blood pressure for those who were treated. 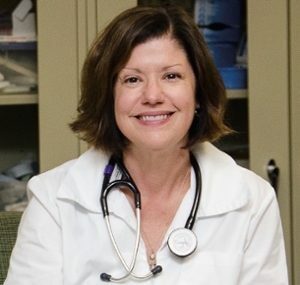 Visit https://nursing.missouri.edu/meet-the-faculty/maithe-enriquez/ for more information. This entry was posted in Uncategorized and tagged Dr. Maithe Enriquez, expert, Hypertension, Today's Honoree, University of Missouri. Bookmark the permalink.